Leigh is the Food Bank and Volunteer Coordinator for Wilsonville Community Sharing. She has held this position since WCS added the Food Bank to its services in 2000. 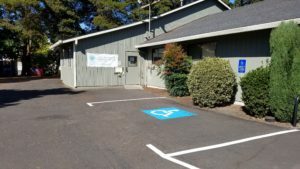 The Wilsonville Food Bank is a member of the Oregon Food Bank. Previously Leigh was a corporate employee trainer. She is married and has three grown children.